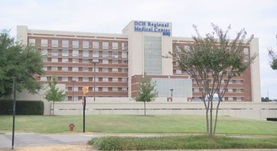 Dr. Barry Newsom is a specialist in thoracic and cardiac surgery in Tuscaloosa, Alabama and he is affiliated with DCH Regional Medical Center. He got his diploma from University of Mississippi School of Medicine. He did two residency programs, one in thoracic surgery and one in general surgery, both of them at University of Mississippi Medical Center. After this, he did a fellowship in vascular surgery at the same institution. The doctor is board certificated in thoracic and cardiac surgery, and he has a practical experience of more than 20 years. Dr. Barry D. Newsom has contributed to 3 publications. The Florence Crittenton Home, Charleston. Newsom, B.; J S C Med Assoc. 1988 Jul. Newsom, B.; J S C Med Assoc. 1988 Jun. Newsom, B.; J S C Med Assoc. 1988 Nov.